This photo features the fireworks at from the Minneapolis Aquatennial celebration. I went to a location north of downtown so that I could get the Lowry Bridge, the Minneapolis Skyline, and the fireworks all in the same photo. This 3-Piece Canvas Art piece named "Cotton Candy City" consists of three equal sized pieces that feature the Minneapolis Skyline along the Mississippi River. This piece comes with three panels, each of equal size. You have the choice between metal prints or canvas prints. On a day when many Americans were celebrating a mostly made up Mexican holiday, I was sliding down steep muddy slopes and hacking through the bushes to get to a spot that has a view like this. After the first thunderstorm of the season had passed, there was hope for a colorful sunset and dusk sky. The hope for brilliant reds and oranges was replaced by the awe of the appearance of the cotton candy clouds. 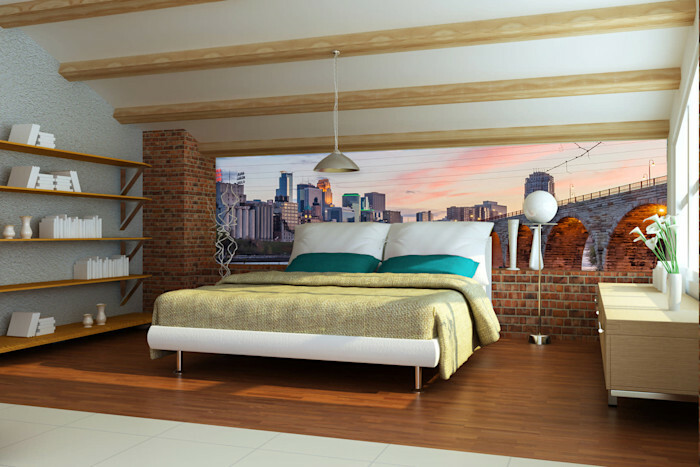 This view features the Minneapolis Skyline, the Stone Arch Bridge, and the Mississippi River.